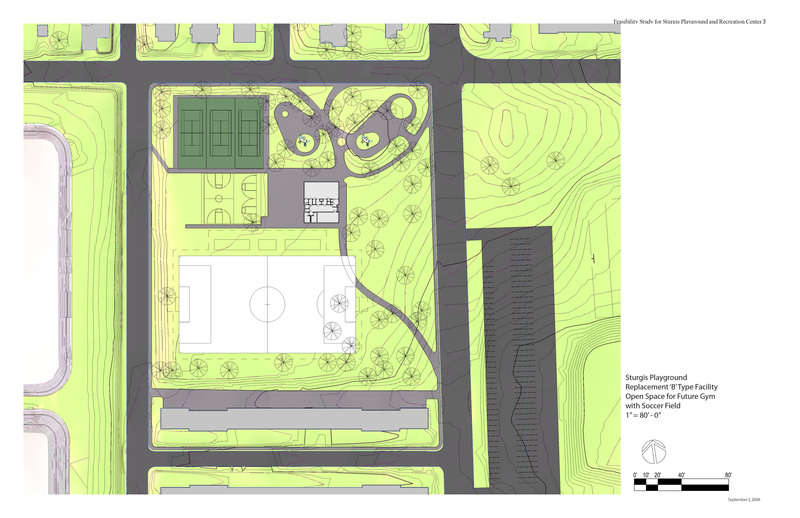 A 5.7-acre oasis with an imposing stand of beautiful trees, the Sturgis Playground, had graced the southwest corner of 2nd Street and 65th Avenue in East Oak Lane for 69 years. 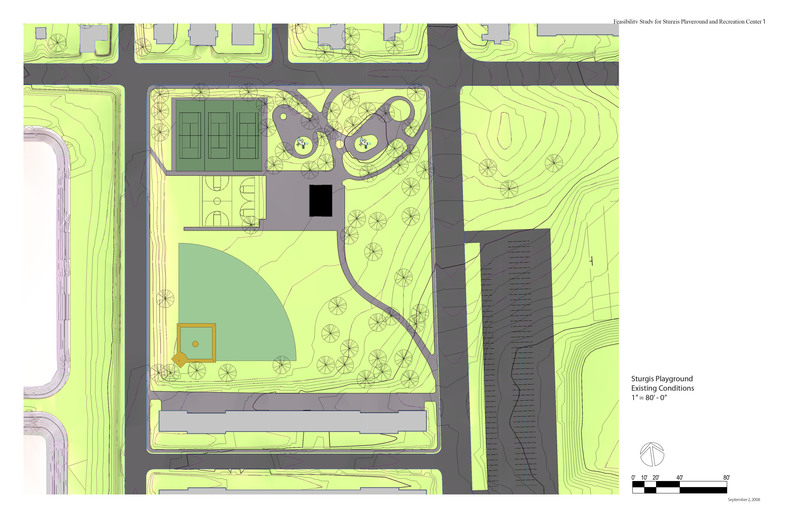 In 2007 it was rescued from closure by the efforts of the neighborhood residents with the help of Councilwoman Marion Tasco and the newly unified Philadelphia Parks and Recreation Department. 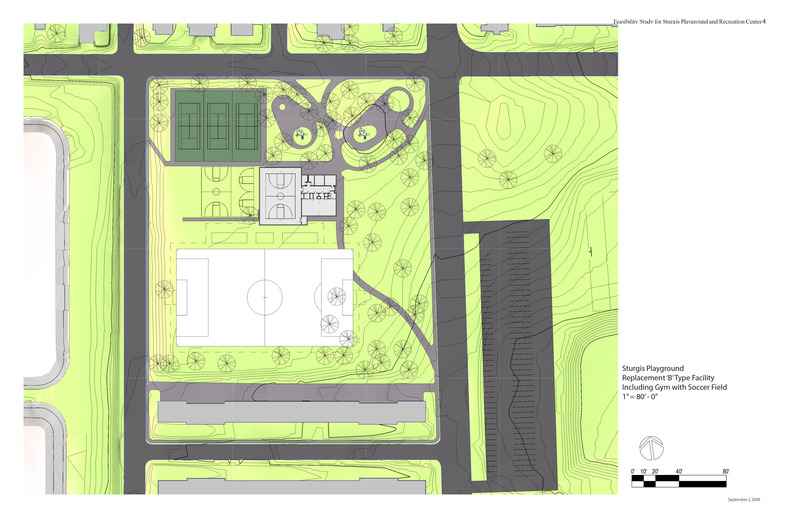 The City of Philadelphia retained Claflen Associates to evaluate the site and provide a master plan for the site and a program for the new recreation building. 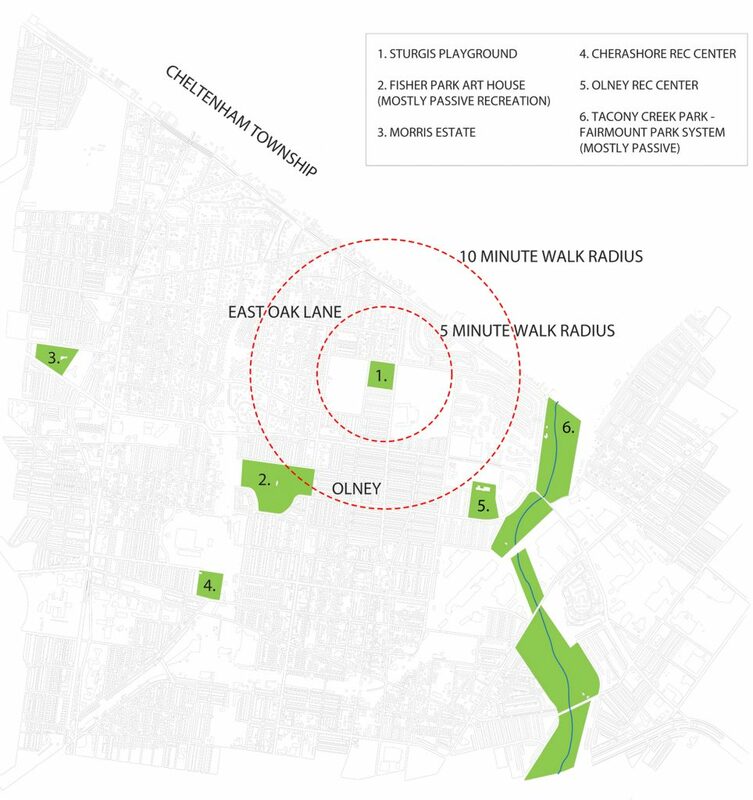 The programming process, involving community meetings and extensive site visits, resulted in a plan that adapted Recreation Department standards to the strongly voiced needs of the East Oak Lane neighbors. 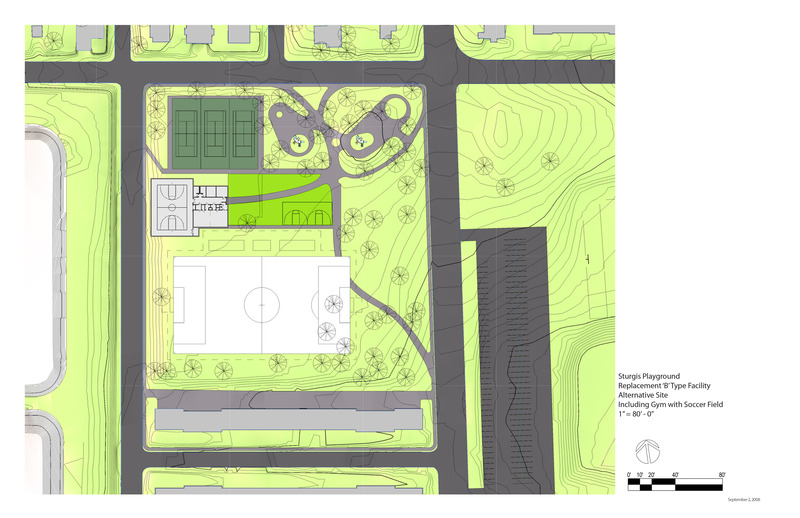 Events moved slowly, but steadily, and in 2014 a new recreation center and improved site facilities opened.